Distraction-free text editors are useful if you want to write in a relaxed environment without interruption from graphical toolbars, reminder beeps, distracting interfaces and so on. Every successive release of Microsoft Word comes with even more bells and whistles and you often find yourself spending more time with the menus than actually writing. 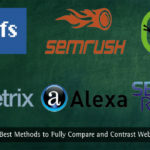 Here is the list of the top 10 text editors for bloggers and writers that allow you simply to write without all the other distractions that come with fully-featured word processing applications. Some of these are simple text editors with few other features, while others come with lots of extras that you can use or ignore. All offer a full screen option where you can type away without the distraction of text sizes, enhancements colors and graphics. WordPress latest version also provides an option for distraction free writing. Q10 is available only for Windows, with no plans for any other OS. Once you have downloaded it you can start typing on the full screen. The only other item on the screen apart from your text is a page, word and character count at the bottom left. There are no frills with Q10, other than a realistic typewriter sound which can be turned off if required. The screen above is what you get, and there is also a version that includes a spell checker. You can choose from the English version as default, or any of another nine alternative languages detailed on the Q10 home page. The settings enable you to choose from a wide range of fonts and font sizes, set text with and paragraph dimensions and also the color of the text. There are also programmable auto correct and quick-text settings available. You can also set a timer alarm if you are timing your writing. The menus are made visible by placing the cursor to the top, bottom and sides of the screen. The top main menu is displayed above, along with some of the features available in the Format drop-down. FocusWriter offers more text formatting than Q10 and the other menu items include find and replace, timers, spell-check, smart quotes, daily progress and a range of symbols including Cyrillic, Greek and Arabic and also a range of currency and mathematical symbols. If there is one criticism of FocusWriter, it is that it is not completely distraction-free. 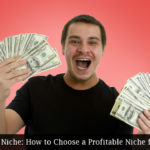 The range of options is larger than would be expected with a basic text editor, and you need to use the cursor to access the menus, scroll bar and bottom goal-checker. Like Q10, it is portable, and remembers what you last worked on. It has also been translated into over 20 languages. Offered by HamsterCoders, Write! is a simple and hassle-free text editor. Clicking on the top left icon opens the menu bar offering a number of useful features including self-learning auto-complete and cursor color. The edit features are basic but sufficient, with cut, copy and paste and also a ‘find’ option. The spell checker operates as you type, underlining misspelled words. The dictionary enables you to accept suggestions, ignore them or add the word to the dictionary in each of the 31 languages supported. ‘Right Click’ provides the formatting menu, including bold, light, italic, underline strikethrough and text color. There are also links available to a number of reference sites, including Wikipedia, Google, and a thesaurus. You can also add hyperlinks to text. Another useful feature is that this text editor automatically saves your writing progress so you cannot lose what you have been writing. In conclusion, Write is an excellent text editor with many useful features. 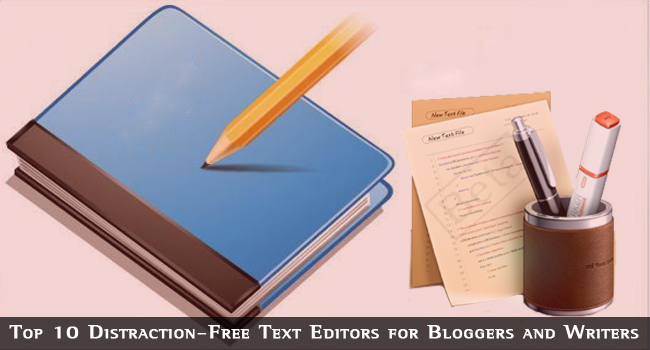 It is an excellent no-frills distraction-free text editor. Known as OmmWriter Dana (Dana is Sanskrit and Pali for ‘giving’), this is a distraction free text editor for Mac users. It focuses on relaxation, with customizable sounds and backgrounds. The example below from the OmmWriter website is using a ‘chromatherapy’ background. You can change settings from the simple menu to the side that pops up when you move your mouse pointer there. The default is a light grey with a leafless tree in one corner. OmmWriter also comes with a selection of sound effects designed to promote concentration. Some may think this a distraction, while others love it. You can also choose from a selection of font types, each chosen to offer a sensation of relaxation and peace. Upgrades include a paid version and a ‘donate-what-you-want’ version, each offering a wider selection of audio and visual themes. You cannot print using Ommwriter, but you can save the file in omm., txt. and pdf. formats for reading or copying to another editor for printing. Omm is a format the same as txt. The lack of printing is perhaps the one weakness in this system. Otherwise it looks and sounds excellent, and is a true text editor without some of the enhancements of those discussed above. It does, however, include several functions available via shortcut keys and hovering the pointer over the writing area. The left icon enables you to change settings such as text and background colors, and also tasks such as naming, viewing and importing documents. The right icon provides shortcuts for the most common markdown formats. You can also use Hemingway mode: “Write drunk; edit sober” as attributed to the great writer. This prevents you from editing while writing, so you get all your thoughts down while they are fresh, without the distraction of editing. This is true ‘distraction-free’ writing. You edit later, so your creativity is not halted by the need to edit something. Draft is a very useful free writing tool, and is totally free to use. You can use it anywhere since it is browser-based. You have nothing to download, and it supports Word and Google Docs. iA Writer is a writing app for the iOS – the Mac, iPad and iPhone, and is available from the Apple Store. The Mac version is $9.99 and the iPad and iPhone 5 versions are $4.99. There is a Pro version but that is more expensive, and involves syntax analysis which is not relevant to this review of simple distraction-free text editors. 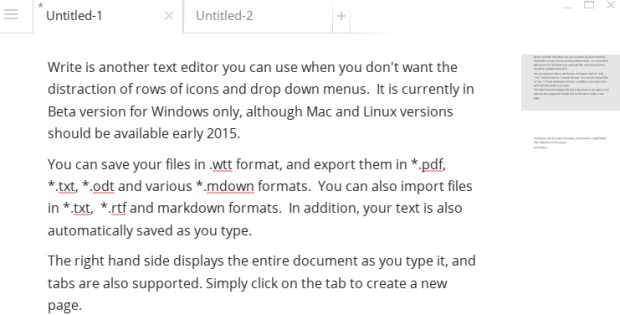 Like other text editors reviewed here, iA Writer uses Markdown to format text. You can use either shortcut keystrokes or then usual hashes and asterisks to format your text. The iPad and iPhone versions proved an on-screen keyboard to use. The Mac versions enable you to see a preview window, displaying the markdown formatted text. iA Writer also offers a focus mode, whereby you can focus on writing one sentence at a time, thus reducing the temptation for you to edit as you type and therefore interrupt the normal flow of your writing. The best writers write without interrupting their flow, and edit only after they have completed a passage. Because of space constraints this feature is not available on the iPhone version. 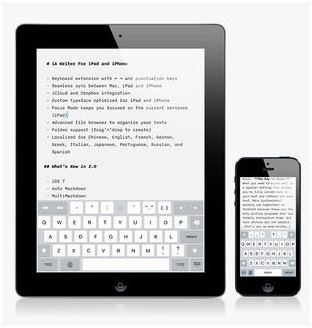 If you use the iOS on your mobile device, then the iA Writer is an excellent text editor. Whether it competes with the OmmWriter depends on your personal taste, but the iA Writer does offer a higher level of formatting while not offering as pleasant a writing environment. WriteMonkey is a hassle-free zen writing application with a definite minimalist look. However, it does have enhancements if you need them, which is often useful even if you want a simple text editor for most of your work. Once you learn the functions and commands, you will be able to write an entire formatted document using only your keyboard. It is compatible with markup such as Markdown, Markdown Extra and Textile. You can also customize your colors, fonts, text sizes, page layout and add any elements to your info bar that you want. Autosave and spell-check are available, and you can use the ‘Its All Text’ addon to integrate with Firefox. If you are writing long passages of text, you can use a feature known as ‘Segment Focus’ that highlights a selected passage so that you can focus on this one portion of text without being distracted by the text around it. 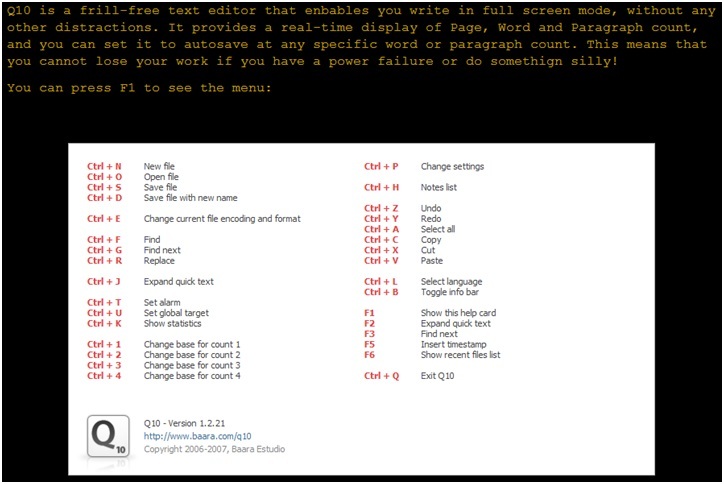 WriteMonkey is good if you want a stripped-down text editor with Markdown to enhance your text. It is also portable: simply copy the single WM file onto your portable storage device and you are ready to go. Byword is another app, similar to iA Writer in that it offers versions for Mac, iPad and iPhone. It appears very similar to iA Writer, enhancing text via Markdown (including keyboard shortcuts), enabling you to preview the document and then exporting it in various formats to your preferred web platform. You can sync your documents on all the Apple devices you have, including iCloud, and you can use Dropbox to access and edit all your documents anywhere you are and with any device. This is a good text editor if you only need the basics, and want to be able to use it to view and edit your documents on any Apple device you own. Byword for Mac is different to the iOS version, and is available for OS X Mountain Lion v.10.8 and later. The iOS version is available for any device running iOS 7 as a universal app. Is it better than iA Writer? Perhaps not, but it is your decision. It costs $9.99 from the Apple Mac store and $2.99 for the mobile devices. WriteRoom by HogBay Software is the most expensive of the text editors we have discussed so far. You can purchase it from the Apple Mac store for $29.99 or the iOS mobile system from the Apple store or iTunes for $4.99. Is it worth this price? Let’s find out! At first glance, it is a pretty basic full screen text editor but it offers a toolbar and scroll bar that are not shown when you are writing your post. Fundamentally, you have nothing to do but write if you like green text on a black screen: reminiscent of old school days, with yellow chalk on a blackboard! Remember that? I think yellow would be better, but what’s wrong with the old black on white? It features a ‘typewriter scroll’ system that keeps your active text in the center of the active window. You do not have the active line running down the screen as you type, but it stays right there in the center! Novel or what! But does the novelty justify the cost, or is it formatting features? To be sure, there is not a lot separating basic distraction free text editors, because it is a simple definition to meet! WriteRoom comes with free cloud backup and synchronization. The font and background colors can be customized, but other than this, which is also available in some of the free text editors above, there seems little to justify the price. Apart from the fact that the demo version did not load due to an error, what can be said about a text editor specifically for Apple Macs costing $44.95? The screenshots offered by the creators display a workspace that can vary between a single text window and three-panes, including library, reference texts and editor. It seems to do just about anything a word processor would do except handle graphics. Well it shouldn’t, should it? It is a text editor free of any distractions! So what does it do? It offers live stats on word and paragraph count, etc., as the others above do. It enables you to set and measure your performance against goals with respect to word counts over specific time periods. You can change the editor fonts and background colors. It comes with a spell checker with grammar check. It supports dictation and text-to-speech. You can export your work to other applications such as MS Word for final editing. It supports enhanced Markdown syntax to enable text formatting. You can directly edit text from Dropbox or any other folder system. You can choose to view only the editor pane, or up to three panes. You can show the Markdown bar while typing so you can rapidly access the markdown coding needed for text enhancements. Those that have used it give it great reviews, and it is likely that if you use a Mac then this one of the best options available to you. Which you would expect at $44.99. The question you have to ask yourself is what will you be using your text editor for? Will it be your primary writing tool or supplementary to some other more fully-featured writing tool? If the former, then possibly Ulysses III should be your choice. If the latter then why pay when you have so many excellent tools available to you? There is little to choose between the free text editors, and each is worth a try – they are free after all! Only if none of these meets your needs should you work your way down the paid apps. Sure, they offer more functionality, but if you want full functionality then will a text editor at between $4.99 and $44.99 meet all your needs? Only you can decide that.